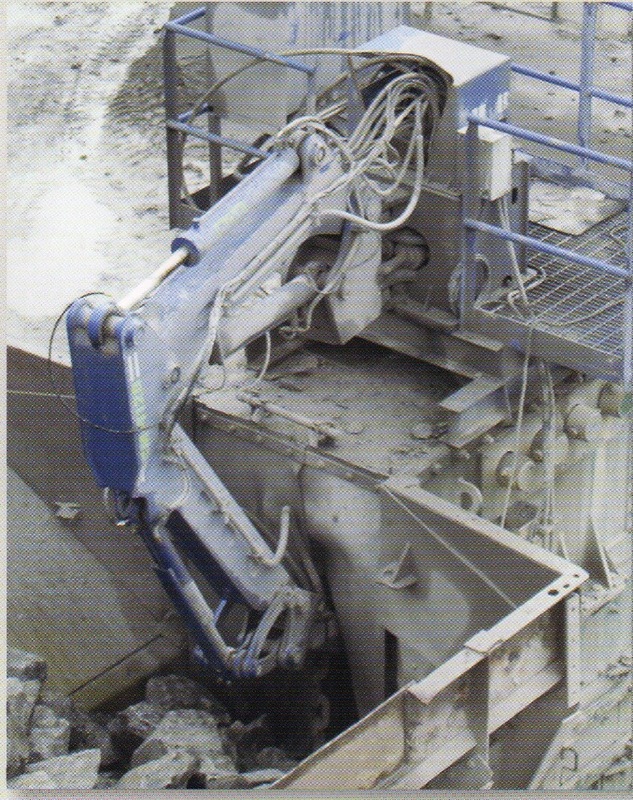 McQuaid Engineering range of Static Pedestal Boom Systmes are designed for use on Jaw, Impact, Cone and Gryatory crushers as well as other applications such as breaking oversized material on the Grizzly. We offer the option of supplying a hydraulic hammer with the boom. We can source and supply any make or model of hydraulic hammer that the customer wishes. It is also possible to use an existing breaker. If the customer wishes to procure their own hammer or use an existing one, a custom made hammer bracket will be manufactured and dispatched with the boom and the hydraulic circuit will be appropriately adjusted to ensure optimum performance. As standard, all MQ boom systems destined for static applications are supplied with a high specification sydraulic power unit as shown below. 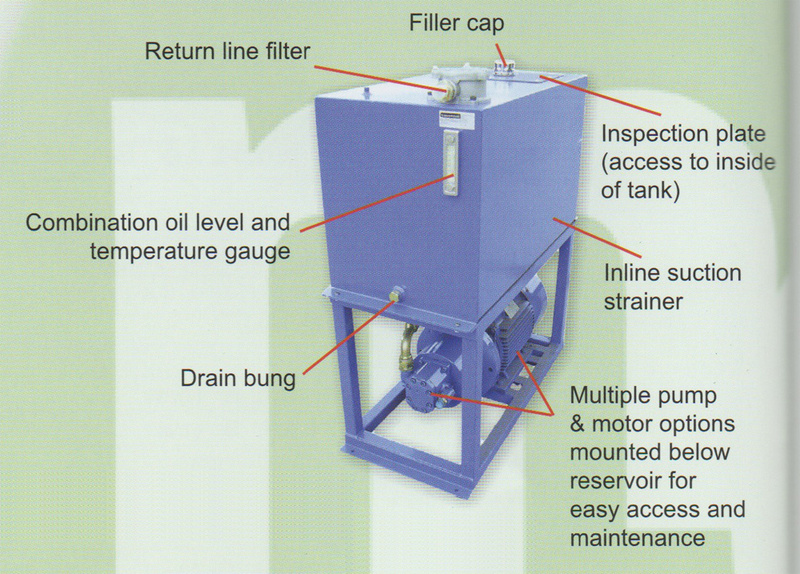 The unit comprises a high efficiency electric motor, a large displacement hydraulic pump and a high capacity reservoir. 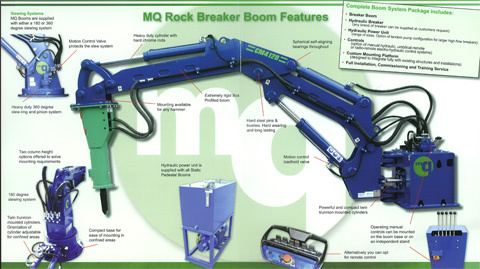 McQuaid Engineering Ltd offer a range of manual and remote proportional control options for operating the MQ boom system. The standard control system is a multi-lever manual proportional control valve bank. 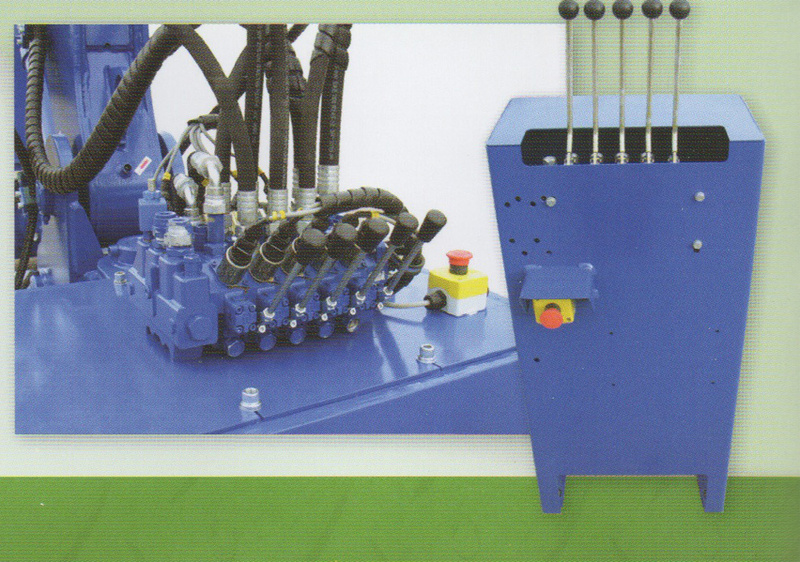 The manual control valve is often mounted on the machine base (as illustrated). 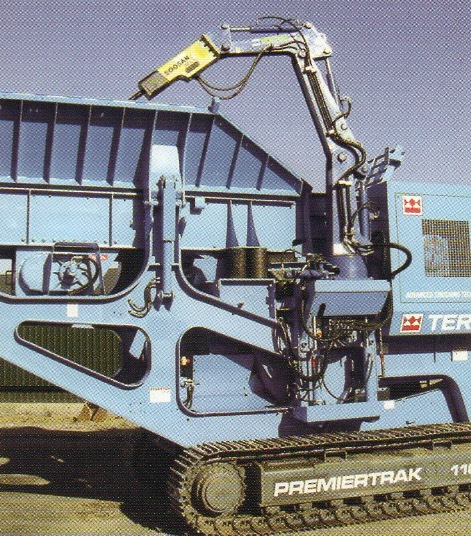 Alternatively the valve bank can be mounted on an independent stand, positioned in a safe area whilst allowing the operator to have a good view of the area around the jaw, feeder and hopper.